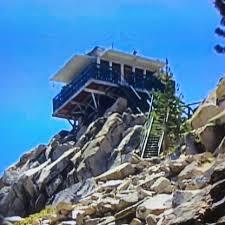 Butler Peak Fire Lookout (elev. 8,537 ft.) is located in the San Bernardino Mountains between the towns of Green Valley Lake and Fawnskin. The area is surrounded by low lying shrubs and peppered by pine trees. 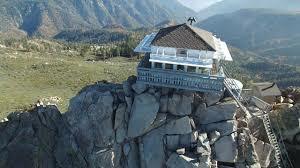 As the highest fire lookout on the Mountaintop and Front Country Ranger Districts, Butler Peak offers spectacular 360° views including sites such as San Gorgonio Peak, the Big Bear Valley, Lake Arrowhead, Apple Valley, and the Inland Empire. On Wednesday, July 13, 2016 the Mountaintop Ranger District opened forest road 2N13B (Butler Peak Road) to vehicle traffic. This is the first time the road has been open to the public since the Butler II fire in 2007. Forest Service Roads 2N13 and 2N13B are part of the inventory of Annual Winter Road Closures on the Mountaintop Ranger District and are CLOSED annually every winter when there is snow accumulation. Once the roads are closed, they remain closed until spring to mitigate road damage.